This smoothie bowl makes quick and healthy lunch or dinner; it’s also really easy to make – all you need to do is wash some vegetables and throw all the ingredients in the blender. Ready in seconds! 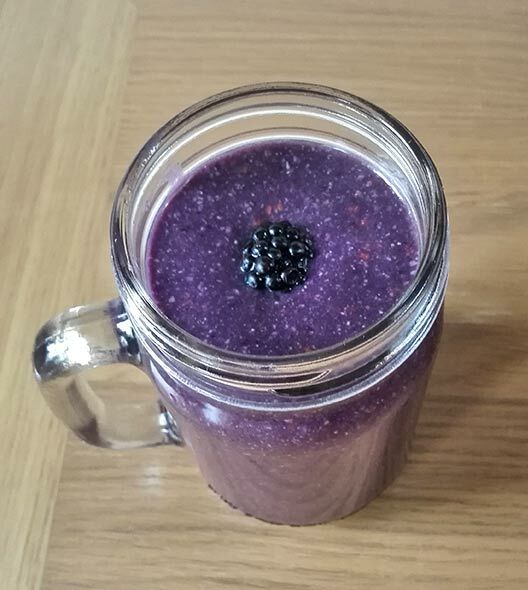 In the past year or so I experimented with smoothies a lot, green smoothies in particular – I experimented with the ingredients I put in to see which combination works best. 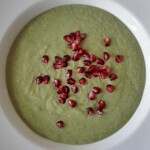 I quickly learnt what works and what doesn’t and this green smoothie bowl is a result of everything what I learnt. 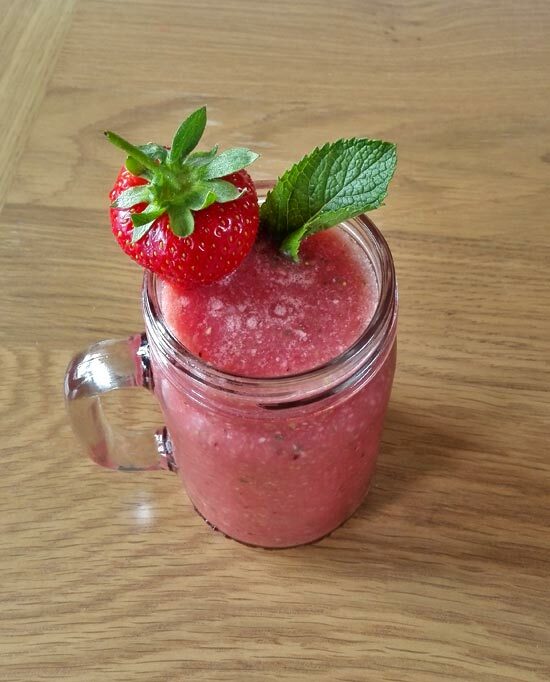 But what makes it really special is its high-fibre content, meaning that it will fill you up and you won’t feel hungry for a while after having it.If you love having smoothies you will know that they don’t normally fill you up – you feel hungry again very soon after having one. 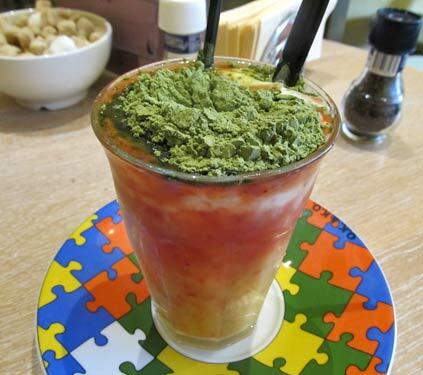 I know this because I experienced it but this smoothie is different. The ingredient that makes this smoothie extra fibre-rich is psyllium husk, a form of fibre made from the Plantago ovata plant. The one I used in my smoothie is organic Psyllium Husk from Monkey Nutrition* which was kindly sent to me to try. I was really pleased with the way this smoothie bowl turned out – I actually had it for dinner one day when I didn’t feel like cooking. It may not look very nice, but it actually tastes good and it’s really nutritious. Wash the spinach and cucumber and add them to the blender. Add the rest of the ingredients and blend on high speed until smooth. Having pomegranate seeds as an ingredient is not essential and you could easily skip them. You can make it less thick by adding more liquid. This is a beautiful recipe! Each of the ingredients are delicious, so I can only imagine that they are fantastic when combined. Thanks for sharing! Thanks Elise! I definitely loved it and I hope you love it too if you try. Your blog is amazing – so informative! This smoothie bowl looks delicious. It’s really good to hear you like my blog! I just love to share my passion for natural living and healthy lifestyle here and I hope this will help people on their own journeys to become healthier.Thanks for having a look!